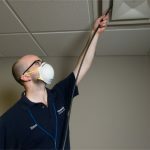 Just how big is the market for carpet cleaning services? 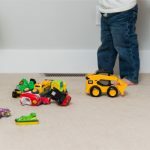 Considering the countless number of homes and businesses that have carpeting throughout them, there are literally billions of square feet of carpet in the United States. As of 2007, the U.S. carpet industry ships 14.4 billion square feet of carpeting a year*, and demand continues to grow. *Statistics from the Carpet and Rug Institute. Owning a Modernistic franchise makes sense for many reasons. Today’s carpet cleaning industry is comprised of various small businesses taking care of a lot of carpet cleaning. By becoming associated with the Modernistic network and brand, entrepreneurs enter the carpet cleaning business with a distinct advantage over the competition.